The Pyramid Group / Asia / Pyramid crowned “industry best” with two home technology awards! Pyramid is celebrating double success at this year’s amazing awards ceremony, held at Harry Potter World! 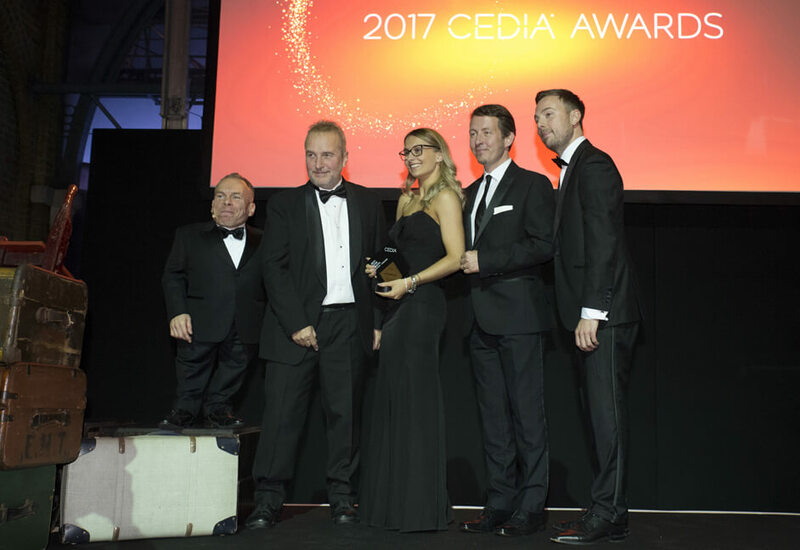 During a dinner on Platform 9 and 3/4, CEDIA recognised the leading professionals involved in the Home Technology Industry across EMEA. 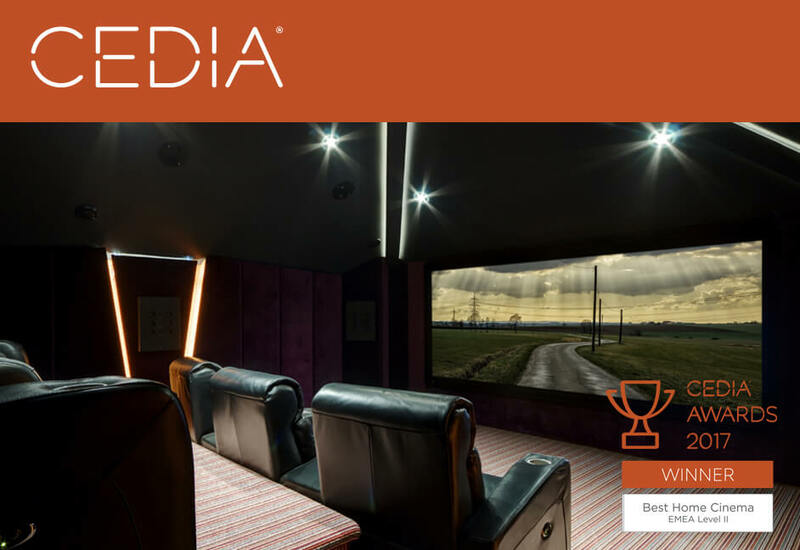 Shortlisted in three categories for Best Lighting, Control and Installation, Best Integrated Home and Best Home Cinema, Pyramid walked away with two significant awards, and gained prestigious industry recognition for all of our submissions! The Haines Family Cinema scooped the top prize in this hotly contested category. Hailed by the Judges as ‘Technically Perfect’, this amazing Dolby Atmos enabled 9.2.6 private cinema features a host of leading technologies, including Trinnov audio processing, Artcoustic speakers and Sony 4k projection. It is a solid recognition of Pyramid’s approach to engineering excellence in everything we do. Ladies Lake was deemed the very best lighting and controls project this year and this iconic building was treated by Pyramid with sensitive architectural lighting as well as unique circadian lighting for the living spaces. 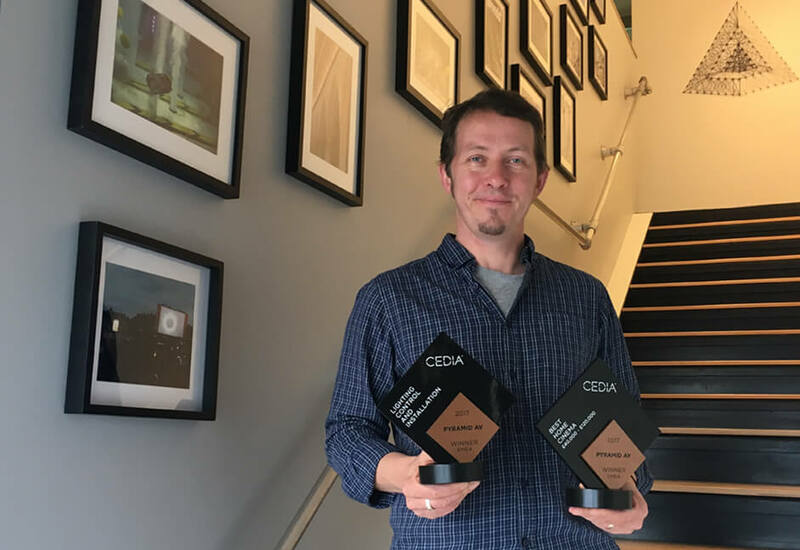 CEDIA’s Awards program recognizes technical excellence, product innovation, and individual professionals succeeding in the home technology industry. 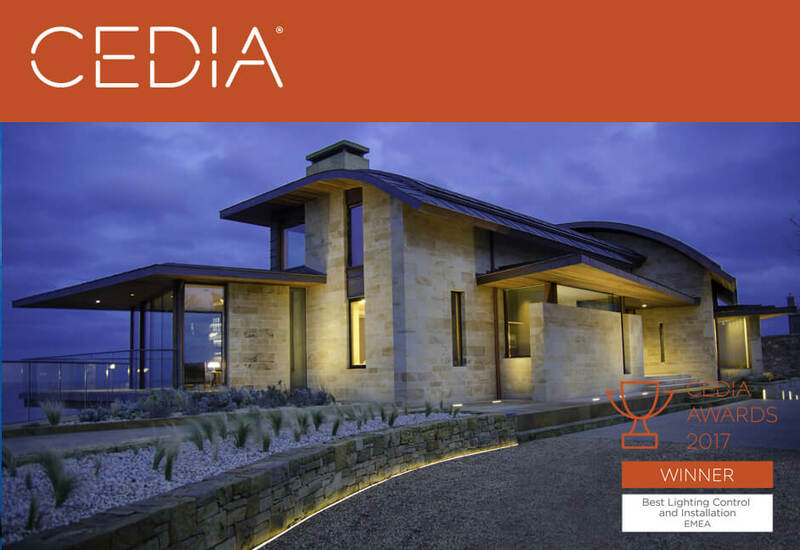 The CEDIA Awards celebrate the many ways technology enhances the home. Winning projects demonstrate technical excellence in all aspects of design, installation and commissioning, while meeting all applicable industry performance standards. Work is continuing at pace as we bring together our technology and design features that will make up the South West’s only dedicated home technology and cinema showroom! Featuring a host of smart home tech, lighting, control and an amazing Dolby Atmos enabled cinema, we are looking forward to the launch events planned for the beginning of November.